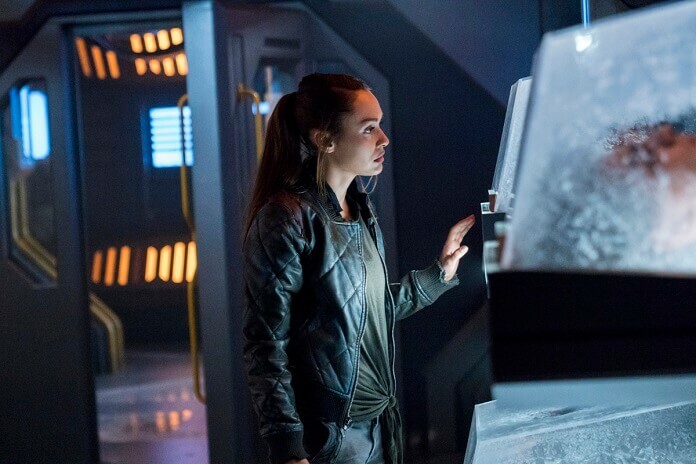 'The 100' Season 5 Episode 4 Preview and Photos: "Pandora's Box"
The CW’s The 100 season five episode three finally reunited Bellamy and Clarke. 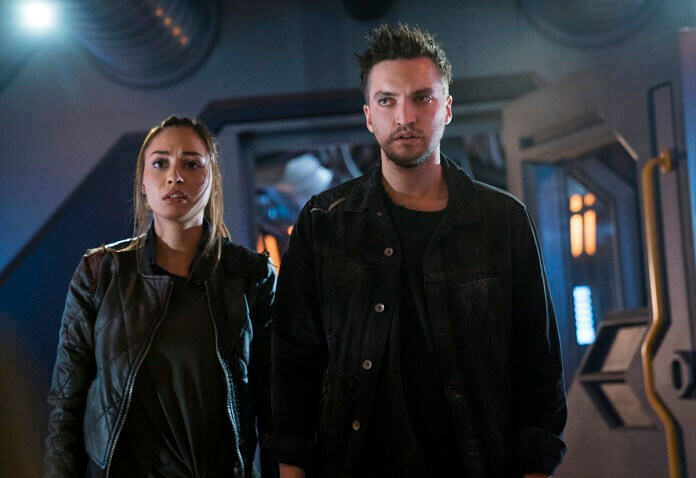 However, before they were reunited the episode packed a trip to the prisoner ship, the discovery of hundreds of prisoners in suspended animation, and the capture of Clarke by Diyoza (Ivana Milicevic) into a riveting 50 minute reunion lead-up. Faced with the possibility of these armed aggressors killing Madi, Clarke revealed what’s been taking place on Earth while Diyoza was in space. Unfortunately, Clarke had no idea Bellamy and others from the Ark had just made it down to Earth. After her people discovered this new group, Diyoza had Clarke tortured for lying about the number of people in the area. The torture only stopped once Bellamy put in an appearance and threatened to kill the hibernating prisoners if Clarke wasn’t released. Up next, season five episode four titled “Pandora’s Box” airing May 15, 2018. Season five episode four was directed by Dean White from a script by Charmaine DeGrate. 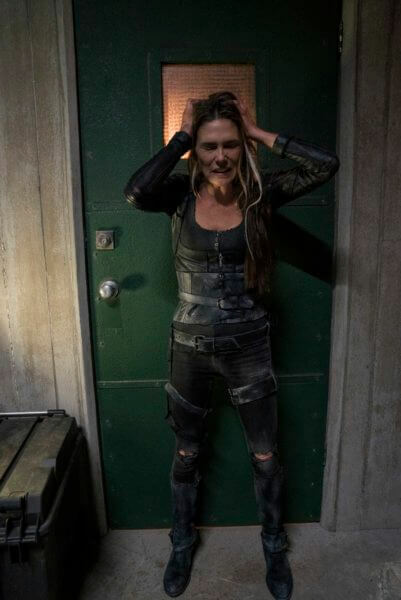 The season five cast includes Eliza Taylor as Clarke Griffin, Paige Turco as Dr. Abigail Griffin, Bob Morley as Bellamy Blake, Marie Avgeropoulos as Octavia Blake, Lindsey Morgan as Raven Reyes, Christopher Larkin as Monty Green, Henry Ian Cusick as Marcus Kane, Richard Harmon as John Murphy, Luisa d’Oliveira as Emori, Chelsey Reist as Harper, and Tasya Teles as Echo. The “Pandora’s Box” Plot: HELP — Our Heroes are forced to rely on the help of Shallow Valley’s dangerous new inhabitants in order to save some of their own, with surprising results. The Season 5 Plot: Over the last four seasons The 100 have fought to survive against unimaginable odds, only to see the world end for a second time. 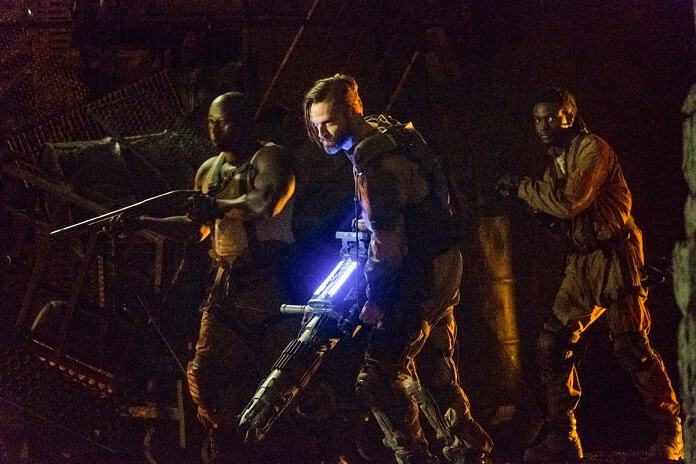 Season five begins six years later, with our heroes still separated: Bellamy’s team in space, Clarke on the ground, and hundreds trapped in the bunker below. But when a massive prison ship descends upon the last survivable place on earth, The 100 must come together to reclaim their home. As two armies converge on one valley, alliances will shift, friends will become foes, and the march to war threatens to destroy all that’s left of the human race. Can our heroes break the cycle, or is humanity doomed to repeat the past? In this epic battle for survival, one thing is certain: there are no good guys.